Health promotion and wellness professionals deliver scientifically based programs designed to help people improve the quality of their lives. 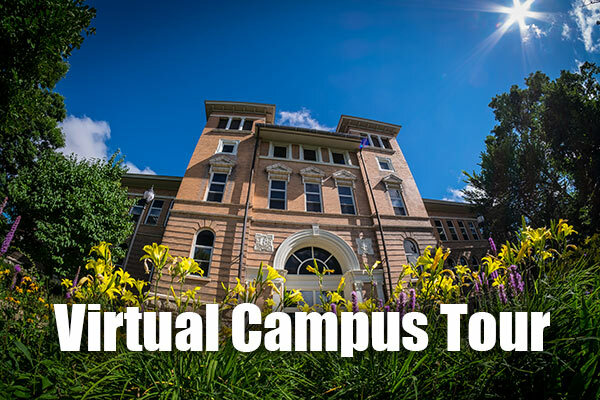 Around the world, UW-Stevens Point is considered as the home of wellness. In fact, the National Wellness Institute was founded here and still maintains a close relationship with our academic program. As a health promotion and wellness major at UW-Stevens Point, you’ll meet pioneers in the wellness movement who strongly believe in the concept of preventing, rather than treating, illnesses while embracing a healthy lifestyle that includes the seven dimensions of wellness. You’ll have the chance to join the UW-Stevens Point student chapter of the National Wellness Institute (NWI), an organization specifically for pre-professionals in health promotion and wellness interested in gaining practical experience in health promotion programs. During your journey in our program, you’ll get hands-on experience through practicums, working in our Health and Human Performance Lab as well as assisting with the student-run UW-Stevens Point Employee Wellness program. Students also work closely with expert faculty to execute the types of programs and tasks they will someday do as professionals. Health promotion and wellness student internship plans are designed to provide you with experiences in behavior-change facilitation, marketing and promotion, and organizational experience. We have compiled a list of more than 300 potential internship sites. The School of Health Promotion and Human Development and UW-Stevens Point Office of International Education offer many study abroad programs where students can experience their profession in different cultures and contexts, such as in ​​Nicaragua, Australia and the Cook Islands. I'm interested in receiving more information about studying Health Promotion and Wellness at UW-Stevens Point.